Here you can find a strain description about Impressions and also some user-based reviews and infos directly from the SeedFinder (if available). 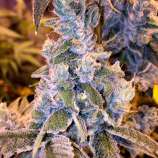 You can also find the offers and auctions here if Impressions cannabis seeds are on stock at MyCannapot right now. Impressions of delight lift the spirit and bring smiles to everyones faces. A swirl of strawberries and mint ice cream creates a new type of kush that reeks fire. Let Impressions deliver its volatile aromas and potency from its oily resin and trichome density. Buy Impressions now at MyCannapot!